KINDERHOOK--New York Army National Guard Command Sgt. Major David Piwowarski and Brig. 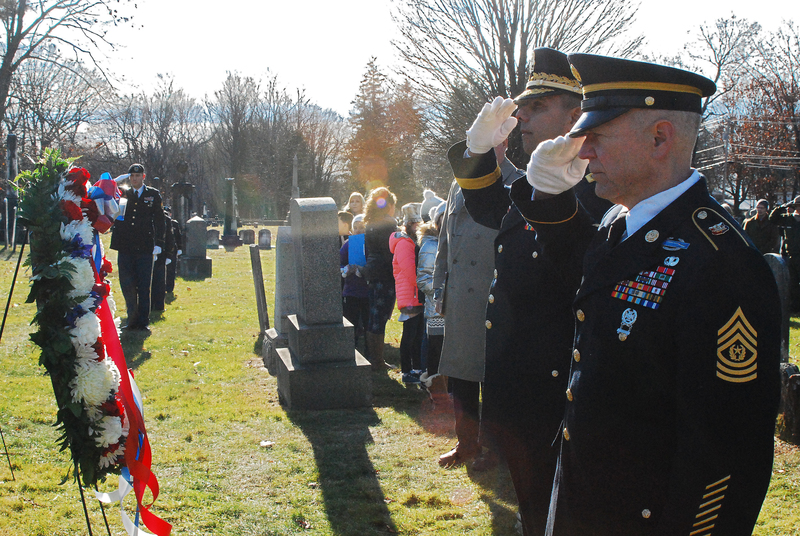 Gen. John Adonie render honors to President Martin Van Buren the 8th president of the United States during a Dec. 5 2018 ceremony at his gravesite at Kinderhook Reformed Church Cemetery in Kinderhook N.Y. The U.S. military presents wreaths from the current occupant of the White House at the gravesites of former presidents on the anniversary of their birth. Van Buren was born in Kinderhook in 1782.